Confession: I Watch Hoarders...and I Was One. 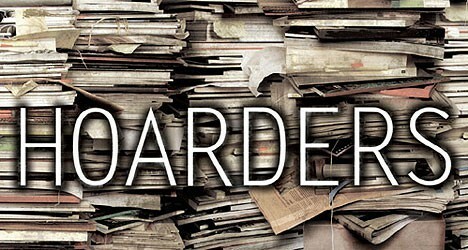 Hoarders is a show that’s as disturbing as it is fascinating. So why do people love watching this show? Are we just sick individuals who like to watch the dysfunction of others? Or are we simply fascinated by human behavior as it collides American consumerism? There is some debate as to whether hoarding is hereditary as a mental illness or simply the result of socialization or trauma. As you watch the show it’s clear that hoarding is the result of poor parenting, mental illness, personal trauma and behavioral issues that manifests itself in compulsion. At first I felt terribly guilty at what seemingly seems to be a tv-peep show of human suffering until I had the realization that I was watching because the show hits a little too close to home. I grew up in a hoarding situation so I can completely understand how some people are raised to be hoarders. In a hoarding household, children learn an unhealthy attachment to things as being irreplaceable markers of emotion, identity and memory. Things suddenly become unreasonably real and unbelievably personal- a pair of shoes that have been outgrown and unusable become embedded with attachment and warm memories. The child begins to associate the events and feelings experienced with the item as the item and parting with even a broken, dirty or unusable item feels like a betrayal of what it represents. Emotions like guilt, loss, regret are entangled with the item itself. Just as a Rosary or crucifix is a representation of something sacred, personal and divine- all items in a hoarder’s life start to take on this strong symbolism. Items begin to be cluttered as they represent the person’s past. Additionally with hoarding, items become irreplaceable representations of self and the person’s past- but they also become bargaining chips for the future that a hoarder uses as an escape. Letting go of anything feels like you’re betraying your past happier days and losing grip of better tomorrows you hope the items will bring. Clutter quickly turns into hoarding to justify a strong need to find usefulness in everything, or to “waste not, want not” and to cope with life’s traumas. Hoarding occurs to fill one’s life with the potential of what could be since often their current situation can feel hopeless or occurs to cover up a sense of loss. As I mentioned- I grew up in a hoarding situation- it’s just the way it was and I didn’t know any different. All of the triggers for hoarding mentioned above seemed to come into play into my childhood and hoarding was just the way we lived. I didn’t realize that I had a problem until I decided to leave home and go live with my Gram at age 16. It was then, after filling a truck full of stuff for the move- much of it truly meaningless, I started to pitch all the knick knacks and the failed intentions they represented. I had become a hoarder and a mindless accumulator who had assigned unhealthy meanings to the stuff I had accumulated, even junk was personal and clothes that didn’t fit had an emotional hold over me. I felt powerless and overwhelmed by the massive amount of things I had collected over the years. I simply didn’t have the energy to deal with it, and I began to let it go. Truly not just the things themselves but the powerful emotions I had previously insisted be attributed to them began to smother me. 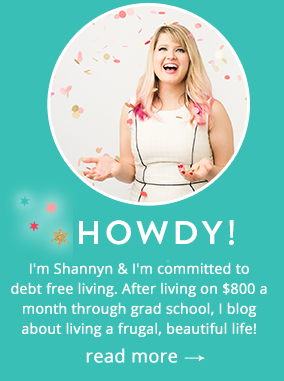 I wanted to be rid of the things and the painful memories I had previously felt charged to keep- no more. It’s taken years to let go of the unhealthy attachments that I was raised to attach to things. In 2007, my frame of mind completely shifted and I found myself facing the habits of my upbringing directly when my Gram and I were evacuated due to wildfires. Fire came uncomfortably close to taking everything we owned and for the first time shook my relationship with “stuff.” At the thought of losing everything to fire, my life was re-prioritized but it wasn’t until 2010 when I moved to Chicago that I really had to face the music and purge. After years and years of having an unhealthy relationship with stuff I finally feel it’s under control- my apartment is a bit cluttered but it’s organized, comfortable and I know I could survive if I lost it all tomorrow. I don’t have the emotional attachment that I used to, but in watching Hoarders I am reminded at how emotion and experiences entangle themselves with the meaning we attach to our things and how easily it can get out of control. Even now, it’s hard for me to admit my “past life,” on the blog or to anyone- thinking of how bad it was still looms over my head and I feel lucky to have been able to forge my own healthy path. So do you watch Hoarders? What has the experience of the show been like for you? Love and Money: Are You Training People To Treat You Poorly? I watch hoarders. I find it extremely sad. My mom is pretty much on her way to becoming one. I'm know that I'm a little bit *too* attached to all my Stuff and it worries me. A lot of it comes from my family (grandparents that survived the depression and parents who grew up very poor), but I don't want that to be an excuse to avoid addressing it. Half of me wishes I could just dump it all and have a clean slate… but the other half of me knows that it will be better if I can get it under control myself. That's great that you've been able to work through it! Thanks for sharing. I just started watching Hoarders, and I am shocked that people live like that; However, my heart really goes out to them because many of them have suffered tragedies and loss, which has triggered the hoarding. You have given the best explanation of why we so often hold onto things, and attach the memory to them. I'm quite sentimental and it's sometimes difficult not to save every painting my kids have done, but I know that to do so creates too much clutter. Love this article! I do watch hoarders sometimes, although I feel like the story is roughly the same for every person. I've lived with hoarding in my life a bit with family members, so I understand how emotional and stressful these problems can be. I'm glad to hear you've taken big steps to overcome your attachments. It's definitely no small feat to do so! I grew up with what I call an "organized hoarder" – my mom is diagnosed with obsessive compulsive disorder, and she also has hoarding tendencies. What that meant was a house where you could probably eat out of the toilet, but you could also be killed via avalanche if you opened a closet door. She has spent thousands of dollars on organizational supplies and storage totes to hold all her stuff. Luckily I didn't take on those tendencies – in fact, I ran as far away from them as I could. There are very few things I couldn't leave behind if needed. When I was an EMT in my local town, I saw many instances of hoarding — usually older people who lived alone with their 'memories.' Thanks for sharing your story. Neither tendency is particularly healthy. But balance can be hard to achieve if you're not an emotionally balanced person. I watch snippets of Hoarders when flipping thru channels. It is entertaining and mind-boggling to me, as I am a neat freak. Sometimes I wonder if some of the people on that show are mistaken for lazy slobs rather than hoarders. Some of the hoarders seem to have rational explanations for holding on to their stuff though. Hoarders is so disturbing for me because I am the exact opposite. Attachments to things definitely can control your life. Don't let stuff control you! Shannon, I just wanted to give you a virtual back-pat. I watch Hoarders and my heart breaks at the difficult job they have, overcoming mental illness. You deserve our admiration! I'm struck by how tragedies can literally put your life into a tailspin. The other day, watching The Biggest Loser, one of the contestants mentioned infant loss. And it's a recurring theme on Hoarders. Having lost a baby a few years ago, I can absolutely understand how grief can drive us to extreme behaviors, be it hoarding or emotional gorging. I just wish we could be kinder and gentler to ourselves. I want to make a bumper sticker, "Have You Hugged a Hoarder Today?" Because, more than anything, that's what we should be doing. Embracing and accepting, and helping. I applaud the show for exposing this solitary problem and being empathetic. My mother-in-law is a full-on hoarder. You can't see her couch or her dining room table and the bedrooms are too clogged to use. My wife fights those tendencies. Thank you for sharing this. I’ve seen these tendencies in a family member and in myself, and I have been working diligently to be aware of them and not give in to them. I grew up with two parents that horded, one was worse than the other. My Dad would (still does sometimes) stop on the side of the road to pick up an old hat, cooler, lumber, whatever and bring this stuff home. Mom was not really that bad but had her own issues. It has slowed down a lot since there both in there late 70's. I was never like that as a kid and now as a 48yr old adult I get STRONG reactions to something that hasn't been used for a long time and go on a big purge a few times a year. Thank God for freecycle, those people love me! I don't have cable so haven't seen the show but I imagine it's pretty sad. For myself I have a lot junk laying around and in the garage. I tried Freecycle and Craigslist to get rid of some of it, but I get few takers. Why can't I just throw it out? The show hits too close to home for me, because I know my house is in trouble. I've lived in my Grandmother's house for 25 years. and I have become complacent with it. I don't hoard, I just don't care enough to clean it all. It's my own silent hell. i have to admit i watch the show mostly to see if the hoarder finaly is able to deal with the demons that cause them to hoard and also to work to not be come one my self. I watch it. On one hand, it's disturbingly fascinating that any person could get to a point where they're okay living like that. On the other hand, I see myself in them. I'm not a hoarder by any means, but I feel like I'm just one tragic death of a loved one away from becoming one. I sympathize with some of the underlying reasons and tendencies. And after just about every episode, I feel the intense urge to find one little area of my house to declutter or organize. Wow, that was very brave of you to share your past. That must have been really tough to deal with! I love watching that show, but its sad. It stings to watch how worked up those people get over throwing away even the smallest thing! My ex-boyfriend (we are still close friends) is a hoarder, and so the show is incredibly difficult for me to watch. He kept it a very well-hidden secret until we decided we were going to move in together, and I realized he was not making progress on packing up his old place on his own. I visited, and he would put bed sheets over doorways so that I would not look into any rooms except the living room, where we would watch TV. One day, overwhelmed by curiosity while he was in the bathroom, I looked into the next room and saw the truth. It was an incredibly painful test of our relationship to de-clutter his house and move in with one another. When I watch the show, I realize that I did not go about this in the healthiest way for him — I made a lot of mistakes, and pushed him too hard to get rid of things, because I didn't understand. I would just take garbage bags and throw things out on him. This was probably incredibly traumatic for him, looking back on it, but I am pleased to report that he lives on his own now and seems to be much, much better than he used to be. When we schedule a visit, it takes him a few hours to clean things up to be "presentable" for guests, but it's not the days/weeks/months that it would have taken at his old house. I am proud of him. Thank you for sharing this post, I know this is a sensitive topic. It was very helpful for me to read. I too was raised in a household of hoarding. It was really bad, but has gotten worse since my sister and I moved out. I moved out and joined the military over eight years ago. When on my own initially I noticed I was saving movie ticket stubs, clothing, knick knacks, etc. that I had attachments too, but then one day the light turned on. That stuff did nothing but clutter my life. I am pretty much on the other side of the extreme now. I donate or throw away anything I don’t use and have had around too long. Everything has its place in my house and I get EXTREMELY uncomfortable when things are out of place. Including small things like the remote being on the couch instead of on the coffee table. I never want to be embarrassed of my house like I was growing up. I come from a hoarder household, and even though my own preference is toward minimalism, I find it difficult to part with a lot of “stuff.” It’s really tough. Girl I am so with you. My mother is a hoarder so I grew up that way. It wasn’t til I moved in with my husband that I realized that I had a problem, confirmed when I visited my mothers house and saw just how much was still mine. I am now learning that things are just things. I love some but in the end I will live if they don’t. I will continue if they don’t. Watching Hoarders (some not all) reminds me of how I grew up and how I could be if I don’t keep my eyes out. Thanks for sharing your story. Thank you for sharing yours! It’s always nice to know we’re not alone.